Wish you could clone yourself, because while you want to get off that 1:1 client hamster wheel, you can’t find time to make your first course and start profiting passively. 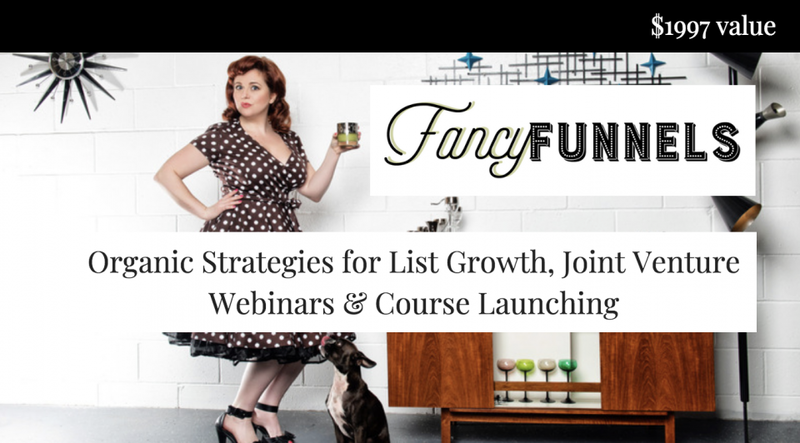 Aren’t quite hip to the current online sales world, and things like webinars, sales funnels, and email marketing are a total mystery to you. Need to embolden yourself with a delectable dose of confidence & clarity around what you’re doing (so you’re not just blindly guessing about the “right” thing over and over again)..
Have spent some serious time daydreaming about hurling your laptop off the top of the nearest roller coaster than wrestle with technology. Are patiently sitting on the sidelines, twiddling your thumbs, and waiting until the cosmos align, your fairy godmother pops out of the bushes to give you new shoes, and everything is PERFECT. Celebrating that electrifying moment when you sent out the link for your students to start their course. Not only are they clicking, but they’re learning, and watching their stellar assignments roll in makes you feel so dang PROUD. They’re meeting their goals. You’re meeting your goals. And all the while, you have a tech system set up that’s actually simple and fun to use. (←No, really.) Everything is so streamlined and smooth that the only thing you have to do when an order comes in is run around the house to Spice Girls while high fiving your whole fam. They believe in you because you believe in yourself. While they learn, you learn too. you just so happen to changing yours, too. So go ahead—give the universe a fist bump. Say a gratitude prayer. Book yourself a trip to Europe. Because YOUR time? Has officially arrived. Struggling to keep up with what everyone else is doing? Check. Chucking thousands of dollars at classes and software that didn’t move me forward (and actually probably pushed my progress back)? CHECK AND DOUBLE CHECK. It felt like I couldn’t possibly get certain technologies to play well together (like creating an automated sales funnel) without staring bleary-eyed at my computer screen for every waking second. But I was getting ahead of myself. After all, I didn’t even know how to create a course people wanted, or grow my email list, or market and sell things, or even who to ask for help. I was down Sh*t Creek without a paddle, but I persevered and started seeing solid profits. I FINALLY figured out the perfect recipe of technology that let me run my business while traveling, without an assistant, and still make an entire year's salary in ONE LAUNCH! I’m a former design and branding professor for three universities, including The Forbes School of Business and The University of Oregon. I’m also a former Nike Senior Graphic designer, longtime entrepreneur with my own graphic design studio, and I’ve branded hundreds of small to medium sized businesses. And if you want the nitty gritty stuff, I hold a Bachelor's in Multimedia Design, and an MBA in Marketing (both of which helped me win an international award for design). More than anything in the world, I’m obsessed with helping entrepreneurs stay relevant while turning lookie-loo customers into raving fans. This course is so step-by-step, it's fail-proof. 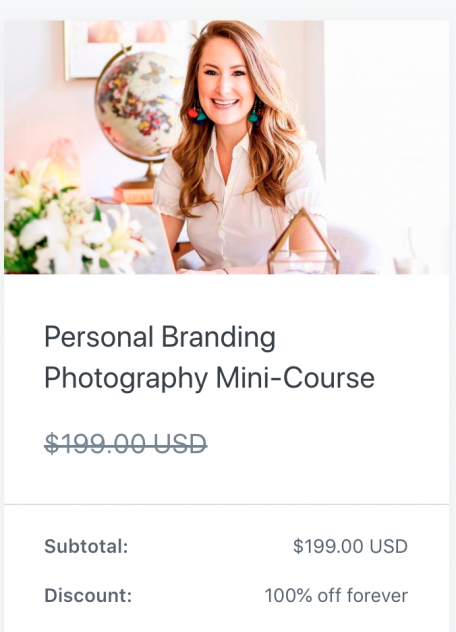 Create an OFFER your signature course beta testers can't refus with Jenna's Beta Methodology that generally leads to 10% conversions! Many students have made $5,000-$40,000 with 100-400 beta testers. If these times do not work for you, we will provide extra office hours to make sure you take advantage of Jenna's direct coaching feedback! NO STUDENT LEFT BEHIND. Just let us know. 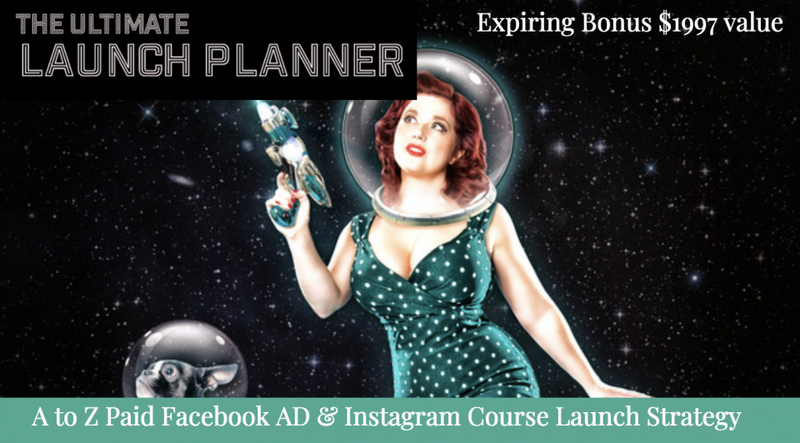 1 YEAR OF "THE ADS LAUNCHER" ACCESS WITH WEEKLY COACHING: Get 88 step-by-step bite-sized videos on Facebook / Instagram Ads that takes you through every 6 figure launch I've ever had! 1 YEAR OF "THE ADS LAUNCHER"
It's the easiest way to get sales at the end of the beta test! 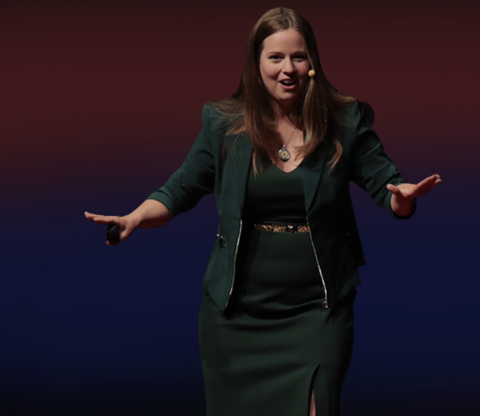 "How to Create Content that's TEDWorthy"
Skills to help you be more confident with content! 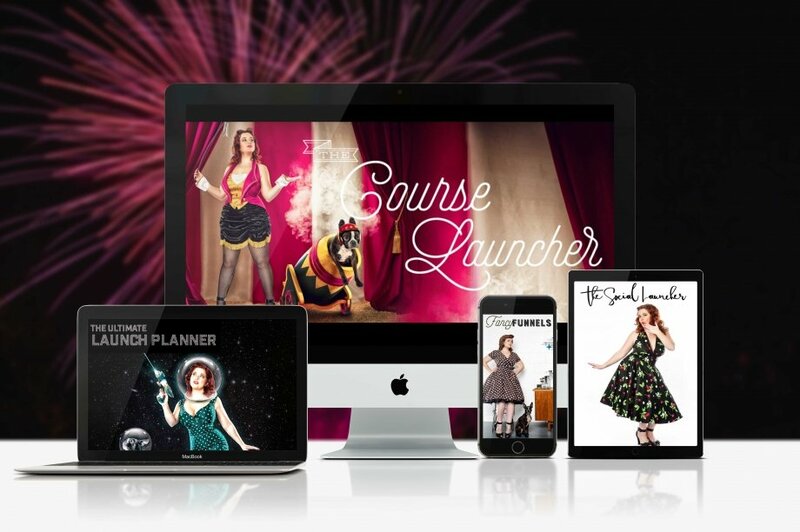 Everything you need to create a profitable online course with beta testers. The intense 30 day coaching starts to get you launched, but you need support throughout the year! This Group Coaching Program is limited to 100 people. If these times do not work for you, we will provide extra office hours to make sure you take advantage of Jenna's direct coaching feedback! NO STUDENT LEFT BEHIND. These start from the day you have your first office hours for 30 Days. Office Hours for the Ads Launcher/Forevergreen funnels THE BONUS: Tuesdays at 10:15am AM PST for and ENTIRE year. "Not only has my course been mapped out and executed on, but I have dream students, doing the concept I want to bring out into the world!" "This has been completely life changing for me, and I'm now changing other people's lives." "I've never learned so much in a short period of time. There isn't time for overthinking or perfectionism. My course turned out so much better than if I had spent all my time trying to guess at what would work for people." Or in other words, if you FAIL, I’ll REFUND YOU. What this means? You have 30 days to do EVERY single assignment in The Course Launcher. You must show proof you did the assignments & get feedback from me on every assignment AND implement my feedback. I REPEAT: The risk is 100% on me with this guarantee. is in the pudding (and my past clients’ profits). 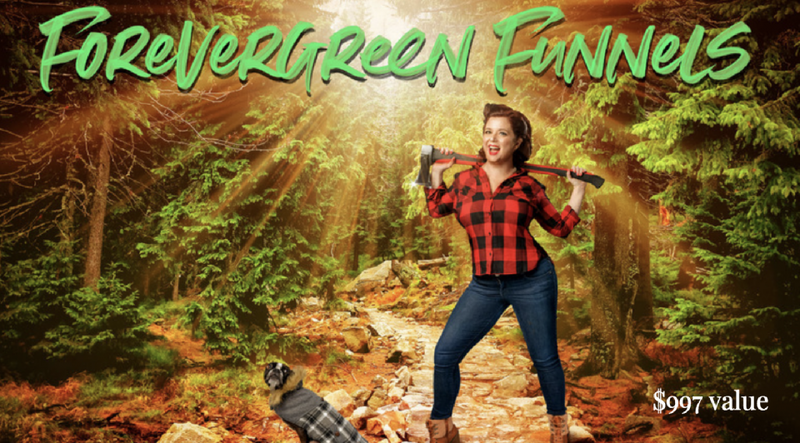 Office Hours for the ULTIMATE LAUNCH PLANNER/Forevergreen funnels THE BONUS: Tuesdays at 9:30 AM PST for and ENTIRE year. You get access instantly to The Course Launcher and Facebook Group. I'll start giving you feedback immediately on assignments so no need to wait. The time of first hours is when your 30 days of "live" course begins. OFFICE Hours begin either the Tuesday at 8am PST or Thursday at 12pm pST. 2. You have submitted each assignment to me via the Facebook group, and tagged me. You're not allowed to have a refund if you just don't try, and just give up. You have to do the assignments and ASK FOR HELP and implement the feedback with proof of that. Cause guess what? You can't do this by yourself. I work with students of ALL levels, from the most tech-phobic, to super skilled. In regards to let's say you don't have a business or course idea at all! Things might take you a bit longer. You do not need a website, a brand, or even truly know who your ideal clients or targets are yet, because through my process you will figure all of this out! It might be shocking cause you might think you know what you want, or what the market wants and it's likely that you'll discover things you could have never guessed! Also, my refund rates are less than 2%, so that says something! HOW MANY HOURS A WEEK WILL THIS TAKE? This depends on you! I make you DO MORE, and WATCH LESS. In regards to actual content time: The Course Launcher = 4 hours total of video split over 4 weeks (1 hour a week), with about 5 modules of templates and 3-5 written assignments, Fancy Funnels about 5 hours of content, but you pick and choose what you want to do. You can also estimate about 1 hour a week for group coaching calls. I try to create FREE options with every expense that I recommend, and any that I do I generally try to make things as inexpensive as possible. So this really depends on what you want to do. Some extra costs might include: Screen recording software (approx $100), email marketing software (approx $25 /mo), web hosting (approx $25/mo), domain address ($10), stock images (Free to $10 an image), video bumper: Cost of template + contractor = $5-$50. Membership platform (free + percentage of sales or other options), webinar software: free - $25/mo. AM I READY FOR THIS, JENNA?